Home › Bibliography › The Camera and the “Physiognomic Auto-da-fe”: Photography, History, and Race in Two Recent Works by Ken Gonzales-Day. The Camera and the “Physiognomic Auto-da-fe”: Photography, History, and Race in Two Recent Works by Ken Gonzales-Day. X-TRA, Vol. II, No. 3., Spring 2009, Los Angeles. 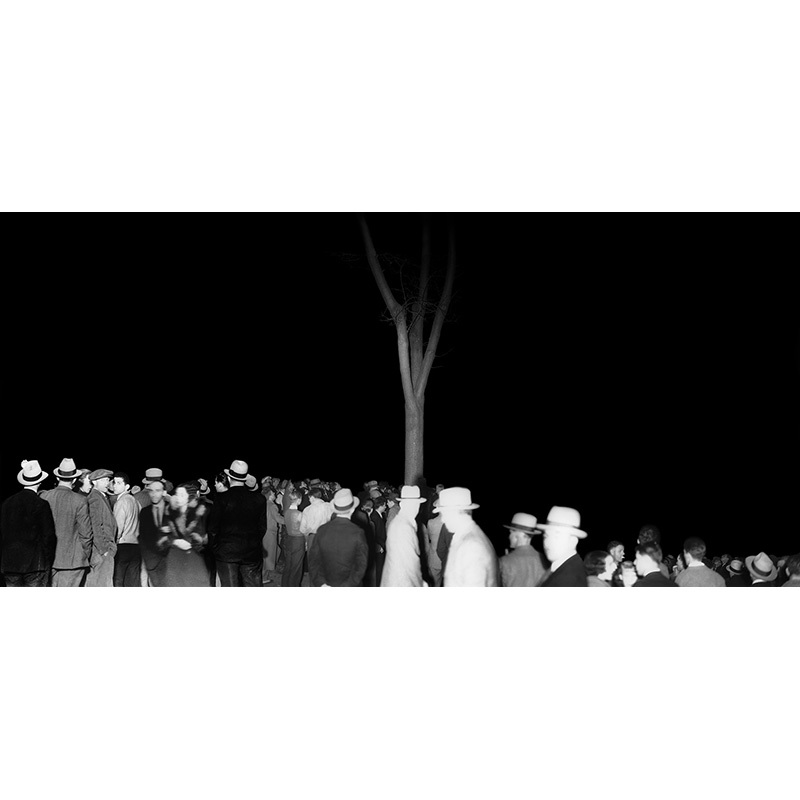 “In his recent installation, The Wonder Gaze (St. James Park) (2008), Ken Gonzales-Day has taken on the sizeable challenge of granting this “mental” image of lynching a medium. Adhering to an unimpeachable historical logic, that medium is photography. The Wonder Gaze consists of three distinct but deeply interrelated elements. Two large photomurals, one positive, the other its negative, hang facing each other on opposite walls. The negative image is printed on disruptively textured, mirror-like mylar. A densely hung suite of fifteen framed, 4 x 6″ photographic prints occupies the connecting wall to complete the environment. Like the other representations mentioned above, including the confiscation of the San Jose News,5 the installation takes the hanging of Holmes and Thurmond only as its point of departure, preferring to allow the specificity of the event to fold into a generalized atmosphere governed by its own heuristic intent. But The Wonder Gaze is no simple repetition of those prior distortions; it is instead an exceptionally vivid moment of what we might call pictorial archaeology. The Wonder Gaze uses photographs to conduct and promote an inquiry into the structural conditions of lynching both as a phenomenon situated in history and as a phenomenon living through history, encompassing, though not condoning, the gamut of lynching’s presentational and representational conditions.6 As Gonzales-Day shows us, photography (as a technology and as an episteme) is and was integral to lynching’s structural conditions, and for this reason there is no better apparatus for staging this archaeology than photography itself.